I’ve told three jokes my whole career! Every week The Money Show’s Bruce Whitfield interviews a famous person about her or his attitude to money (hopes and fears, successes and failures, etc.) as part of his weekly “Make Money Mondays, Personal Edition” feature. 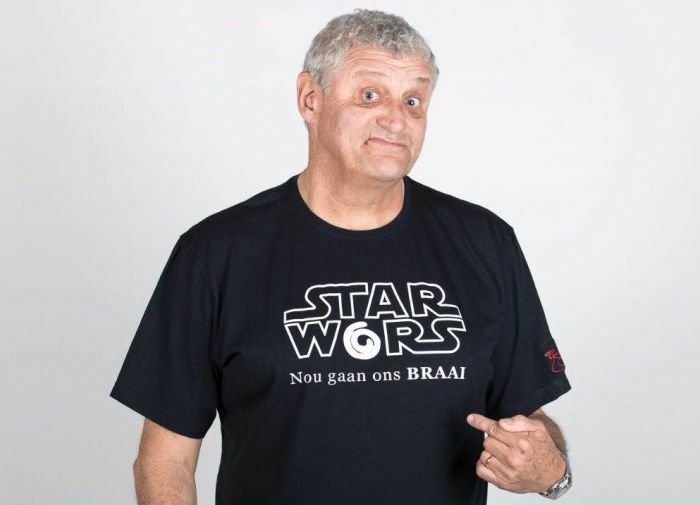 This week Whitfield interviewed comedian Barry Hilton (aka “The Cousin”). Hilton, born in Zimbabwe, worked as an electrician for six years before trying his hand at comedy. He turned professional in 1983, when he was 26. Hilton, a resident of Hermanus in the Western Cape, is an avid supporter of the “Little Fighter's Cancer Trust” and the “West Rand Heart and Organ Transplant Foundation”. What does Hilton believe about money? Does it keep him up at night? Does he spend like crazy, or save compulsively? How did his childhood experiences of deprivation, or abundance, shape his views on money? The more you work; the more skilful you become. I wasn’t a good electrician… I hated it! No [when asked if he drinks Savanna]. You’ve got to be disciplined otherwise you’re going to end up with absolutely nothing. The Money Show’s Bruce Whitfield interviews Mtongana about her attitude to money (hopes and fears, successes and failures, etc.). Money, the root of all evil? Famous, rich people open up, often uncomfortably, about their money and beliefs about it.